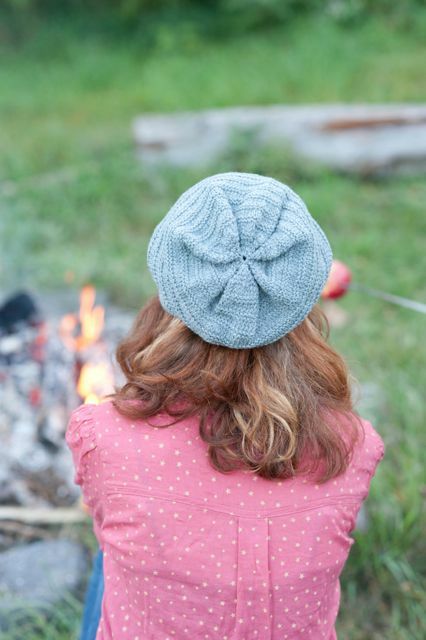 Nelkin Designs Blog: Knit With Me: Blog Tour and Giveaway! I just had to pinch myself yesterday.... it was my "work" to sit down with this lovely book and a cup of tea to peruse it's pages and write a review to share with you. Most of you know I am writing a book myself, and so when I crack open a newly published book I am looking at it with a whole new set of eyes. I'm studying photographs, model choices, technique sections, abbreviation lists AND the patterns. There is so much that goes into writing an excellent knitting book, and I have to say Knit with Me by Gudrun Johnston, is a STUNNING collection. The premise of Knit with Me is two fold, on one hand it's a collection of patterns that could be worn by either a mother or daughter, but it's also designed to encourage the next generation to knit with us. That means that there are projects of multiple skill levels and sizes. Knit with Me contains 7 sweater patterns, and 6 accessories. One thing that really stands out in this book is the use of multiple models. There are three different sets of mothers and daughters shown wearing the garments. This means there are different body types and personalities which helps show the patterns wide range of appeal. Also, the photography by Carrie Bostick Hoge is GORGEOUS... flipping through this book, looking at the pictures, smelling that new book smell, is almost enough, except that I want to knit a sweater for me NOW! Which one you wonder? Well, it's a tie between Ambrosia and Brock... see? They are both so different, and yet each would fit into my wardrobe perfectly! One reason Gudrun asked me to review the book is she knows I have a teenage girl too! Mine, though, hasn't really taken to knitting, she's more of a amigurumi, duct tape, chain maille maker : )! I could see her rocking Hampshire, and if I made a Brock in Black I'm pretty sure she would steal it in a heartbeat! So, want a chance to win a hardcopy of this lovely book? Leave a comment sharing which pattern(s) in Knit with Me you might be dying to knit.... I'd love to hear which those are! I'll leave comments open through January 21st, and chose a winner on the 22nd! Don't forget to leave a way to get in touch with you! 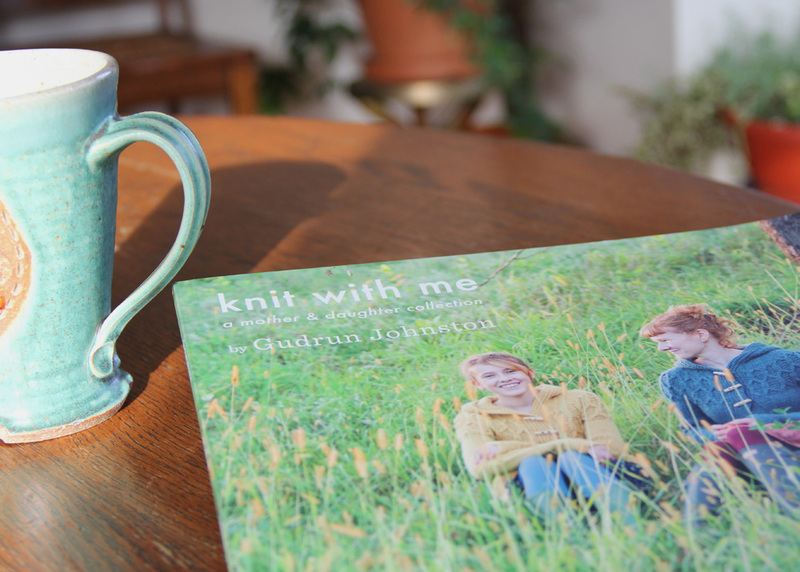 Also, are you looking forward to a weekend of Knitting with Gudrun and myself? Two retreats were announced this week that we will both be teaching at! If you are on the West Coast, we'll be at Vogue Knitting Live Seattle April 5 - 7. For those on the east coast we'll both be at the Yarn Cupboard Retreat in Syracuse NY April 19 - 21. I really like Ambrosia. It has such a nice cable pattern on the yoke! Soay's been in my queue for a while. Braeburn, Brock, Empire, Soay I love all of them as well as most of Gudruns patterns, She's just incredible. Such nice patterns! Brock is one of my favourites! Ambrosia, hands down. One for me and one for my best girl! I'd love to try both the Soay and the Ambrosia-both are lovely but unique. I love Ambrosia too, but Brock would be so pretty on my daughter! I'm excited to see this book - what a great concept. I have 3 girls, clearly I must get this. Ambrosia is gorgeous! I love cardigans that close at the top but not the bottom. I´ve been looking for ways in recent years to get my 16 year old daughter Lara to knit with me. I think we could each manage the Hampshire hat and proudly wear our knitted creations. That would mean so much to me! Braeburn calls to me. I love the apple and this sweater! I really like the simplicity of Granny Smith. I would love to knit Ambrosia! I bet my daughter would love one too! I love the lacework flowers in Soay. I really like Empire, so cute!! I love the Ambrosia. Reminds me of one a friend knit for my daughter when she was an infant. I've got Ambrosia and Brock on the needles! My daughter received the book as a birthday present this Christmas. I'd love to win a copy to share with another mother daughter knitting duo. Brock for sure! THese are gorgeous patterns, and a beautiful book! I'm loving the patterns I'm seeing! Can't wait to couple them with Q and CO yarn! This book does look so good! I do like Brock, but it's not as flattering on a larger person. But I’d like to try. I’m JennGM on ravelry. Empire or Soay. Or Ambrosia. They're all so beautiful it's hard to choose. I think I would just have to start at the beginning of the book and work my way through it. This sweaters in this collection are so wearable, but if I had to pick one, it would be Ambrosia! Thanks for offering a copy of this wonderful book. Confession- I took a beaded scarf class with you in 2011 in PA and I have yet to finish it! Love BROCK & just ordered me some LARK from Quince!! I like Empire and Brock and Quince is great to work with in any base! I'm with you, I'd love to knit Brock and Ambrosia. I love hooded sweaters/shirts and am totally digging the bi-level hem of Brock. i would love to knit braeburn, macintosh and rubens!!! i love the apple names! I'd love to knit Ambrosia - so cute and such a great layering piece! I'm in love with the patterns Soay (in Ravelry queue) and Brock. I can see myself knitting these this year when my college work slows down. Ambrosia looks so cozy!! It is January in Northern Canada and I am craving wool sweaters especially long ones. The Ambrosia is beautiful, and I agree, it looks comfy! The Empire is dying to be in my spring wardrobe. That Brock cardigan is gorgeous! I think it needs to be in a light colour to show up the pattern and a cotton blend for the spring would be lovely. I really like the design of the Brock sweater, but they all look lovely. Brock is my favourite but it was hard to decide! I love Gudrun's designs so much and I think Ambrosia and Empire would have to be my top two. Can't choose just one! I really like Hampshire. ..I can picture it in earth tones along with a matching scarf or cowl! I can't wait to start knitting Abrosia! Oh, my goodness, I am head over heels for McIntosh! Not sure why, as many of these patterns are really cute and have lots of the kinds of detail that I like best...but knowing that I would have to start with just one, it would definitely be McIntosh. Unfortunately, I don't think that I could convince either of my teenage SONS to wear any of these patterns. I'm leaning towards Brock or Braeburn. Love them all! I like Empire, but really all are very nice. Brock and Granny Smith are two patterns that would look great on my granddaughters. What a neat collection of sweaters, hat, scarves and socks!! Looks like a wonderful book! Brock is lovely! I think the concept of this book is just fabulous, since my mom is how I learned to knit in the first place. Ambrosia is simply beautiful, and Hampshire looks like a fun smaller project. Both would work well with my wardrobe. I really like Honey Crisp and Rubens. I was taken with the layout and photographs as well. You know what I liked too? The fact that there were models of all shapes and sizes. Such a refreshing change. I am janineny2001 on Rav. This does indeed look like a lovely book that would look even better in my home library. You're review was very enticing and after clicking on the book title, I decided I want the patterns for "Braeburn" and because I am a Granny, I also want "Granny Smith". Lovely book. Quite taken by ambrosia. I want to knit Honeycrisp and Hampshire. I'd have to choose Empire. It's too poetic, since I just moved back to NYS, too. I almost never knit anything for me, but I'm lucky enough to win, I'll be in an Empire state of mind and make that for myself! I like Brock...simple, elegant and in black would be stunning! Ambrosia, definitely, but also Brock. RebekahEvelyn on Ravelry as well. I love this collection! My favorite is Brock, it looks like the perfect winter into spring sweater. Oh, I love Brock! I can also see that in a beautiful soft pink for my daughter-in-law. What a beautiful review, Laura. Lovely book! Soay and Empire are the two patterns that interest me most. I need some hand knit sweaters in my wardrobe and these two would suit best. My daughter, at 42, loves anything that Mom decides to give her. Love Ambosia - I could see myself and my 11 year old niece in it and probably my Mom too. Beautiful hand knits! I have 2 favs....Soay and Brock. I am lucky- my daughter began knitting and I followed her! Although she has added knitting to her lists of crafts I have narrowed my craft list down quilting and knitting. Lovely review! Lovely wearable knits. I have no daughter to knit for or with :( but enjoy knitting for myself. All of these look wonderful, but I'm most tempted by Empire and Brock. My fingers are crossed - thanks for the lovely giveaway! I love Brock! But would probably make a lot of these beautiful patterns. Brock is great - definitely on my list, but I need to make Cortland for a friend! I am totally in love with Ambrosia the thought of knitting a hood never makes me happy but that one calls to me! Ambrosia is definitely for me! I'm pretty sure I need to knit Brock or Braeburn. I really like Ambrosia. It looks like a really neat book! I'd have to go with Brock too. Lovely patterns. alcbrooks on RAV. I would love to make Ambrosia! What a beautiful sweater. I favour Soay for myself, Ambrosia to knit for my 7yo. Said 7yo wd like to knit Granny Smith for herself - ambitious cheek - I just taught her to knit a few months ago! Thanks for the tour and the chance! Brock is lovely and I think it is one of those sweaters that would look good on everyone. It will definitely be on a to do list for me. Brock is my favorite, but my girls both like Soay. What a beautiful book of patterns. Ambrosia! I love a hoodie! Thanks for the opportunity to win a copy of this lovely book. I've been salivating over Ambrosia (and still am!) ever since I saw the preview for Knit with Me. Hoping to be able to knit this in the near future. Thank you for the giveaway! I completely love that the patterns have apple names, and extra happy I like the pattern with the name of the first apples I ever picked - Empire. Love all the patterns, but Ambrosia is first in line! I love Ambrosia and many others in the book. It is a great one! Soay - without a doubt. Love the details on the bottom. I love the brock with the stitch-patterned yoke and the swing feeling of the whole sweater. Fabo!! I love that all the patterns are apple names. I would like to knit Cortland for my girls and Ambrosia for myself. I like the Rubens hat pattern and the Honey Crisp cowl pattern. My girls (age 11 twins) have been learning to knit, but they are still hesitant to take on a full project. I think that I would like to knit Brock and Ambrosia for them, but get them interested in the Cortland leggings. Fun, and not too hard to do. I love the patterns in the book and I like the idea of a book geared to knitting with your daughters. No girls in my life. I love Brock tho for me... In fact that may have to go to the top of my queue. And the winner is..... Empire! But it was a really difficult decision. Many thanks-- looks like a great book. Syracuse in April, count me in! Can't wait! Hard to choose a pattern, they're all so nice! I love McIntosh! Thanks for the giveaway. I am dying to knit Ambrosia. It looks warm, comfy, and practical. And yet it's design is so beautiful! I would wear this ALL of the time! I love the Brock sweater, especially the design detail at the neck and 3/4 sleeves. Perfect for cooler spring and summer days! Brock, Brock. Brock!!!! Love all the patterns, but Brock would surely be the start! Quince and Co yarns rock! Amazing and affordable. I would love to knit the Brock but to be honest it would be difficult to choose! I would really like to knit Brock ...and now that I have grand-daughters who love hand-knits. I love those leg warmers. I know my daughter would dig them. Brock really appeals to me, although it's difficult to choose - so many nice designs. I have knit 2 of Gudrun's sweaters (Audrey in Unst and Moch Cardi). Her patterns are exceptional with great attention to detail and a pleasure to knit. In fact I have another Audrey on the needles. Ambrosia looks like something I would reach for every day! I can see it going with so much of my wardrobe - would love to CO for it right now! I would knit Honey Crisp! They are such versatile designs that my daughters and I would have a hard time choosing! That said....I think Soay would be first, followed by Empire. The girls would probably start with the legwarmers. I would love to make Soay, Mcintosh, and Broch!